Keeping in the spirit of yesterday's UEFA Champions League final, I thought Adidas' new miCoach Smart Ball, which is capable of syncing with an iOS device, was perfect for Buffalo Gear. 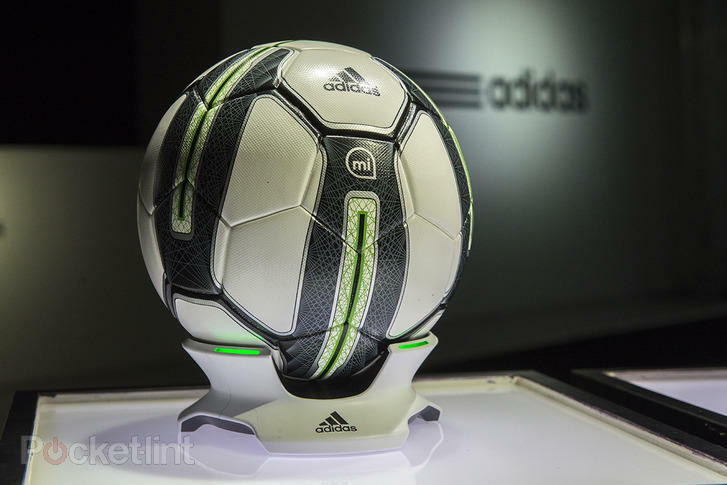 While companies are making footballs lighter, Adidas is making them smarter. It looks like your typical football on the outside, but inside it's fitted with technology that's capable of measuring speed, spin and trajectory to give you an idea of how you're performing. The ball can then connect via Bluetooth so you can check up on each strike, whether it be a deadball situation or volley. Fitted with a spring-mounted sensor, the Smart Ball is designed with different training programs in mind, including casual sessions, a "Get Better" category, and Challenges for deadball practice. On the outside of the ball, there are specific markings that help players better strike the ball—if you want to bend it like Beckham, the companion app will show you how. And because there's a sensor onboard, the app will show you exactly where the ball traveled, and how far. For calculated tactics in certain game situations, this could prove valuable for managers. Of course, since there is a sensor onboard, the Smart Ball requires power. That means it needs charging; Adidas didn't fully share battery information. It's also unclear how much the ball weighs in comparison to other similar footballs, but seeing as this is largely a training tool, a few extra ounces (if it is heavier) isn't such a big deal. There's no price or release yet, though Pocket-Lint says sometime in 2014. Hey, isn't that when the next World Cup takes place?